Circadia is back! We reviewed the first issue a few weeks ago and, at that time, there wasn't an easy way to get your hands on a copy. But now... you can! Issue #2 is crowdfunding on Kickstarter starting today and there's a Catch-Up tier for anyone who hasn't already started the series. 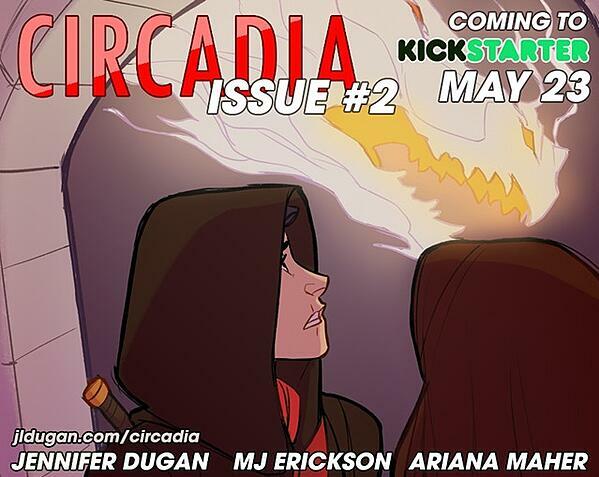 In that first review, we whined a little about the extended production schedule for Circadia, with months between issues. We're pleased to tell you that it's all happening much faster now! 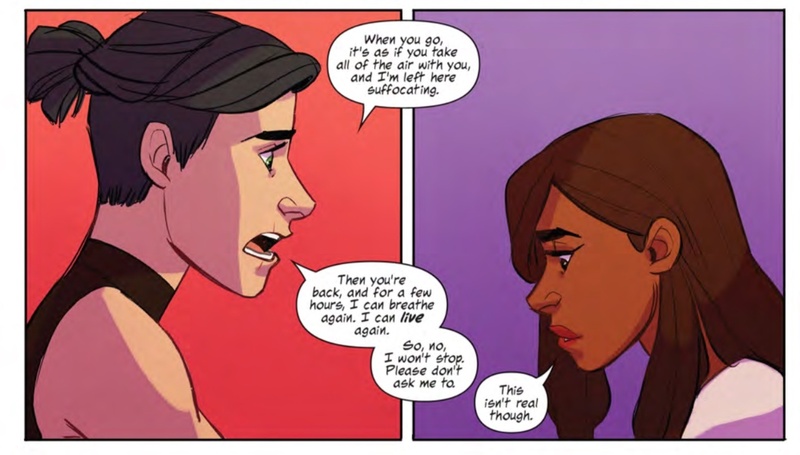 Issue 1 introduced us to Aderes and Zara, and now it's time to dive deeper into their story and begin to untangle the mysteries of their worlds. 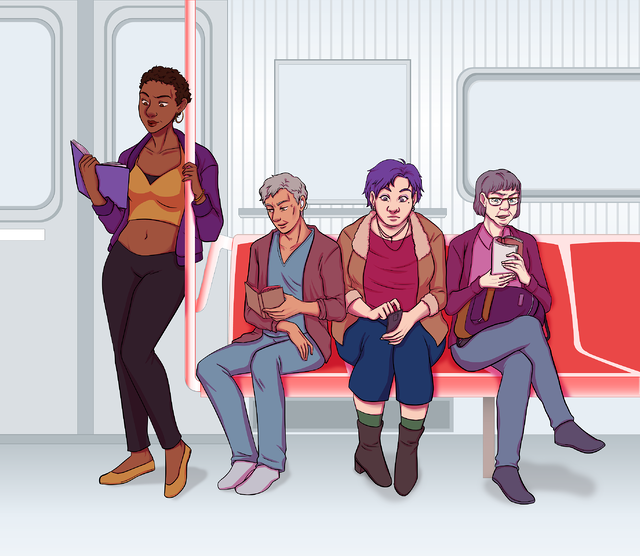 Issue 2 boasts art by MJ Erickson, letters by Ariana Maher, and cover by Eli Baumgartner-- who will also be providing a special stretch goal mystery print. We also have the incredible Kendra Wells stepping up as our guest artist this time around! A new illustration team! Each issue will have a different team, but based on these first two issues, I think we'll be totally happy with each one. 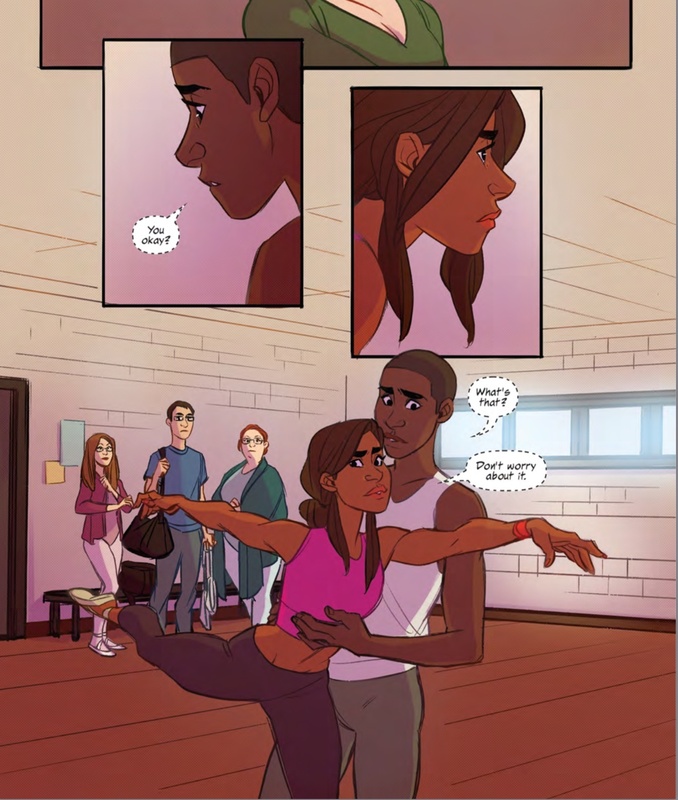 There are a few panels with motion that are done really well, particularly the detail given to the ballerina's form. Here are a couple of sample images, but click through to the campaign for more info!